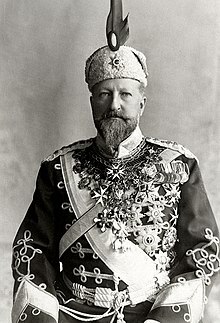 Ferdinand I (26 Februar 1861 – 10 September 1948), born Ferdinand Maximilian Karl Leopold Maria o Saxe-Coburg an Gotha, wis the ruler o Bulgarie frae 1887 tae 1918, first as knyaz (prince regnant, 1887–1908) an later as tsar (keeng, 1908–1918). Louda, Jiri; Michael Maclagan (1981). Lines of Succession. London: Orbis Publishing Ltd. ISBN 0-460-04519-9. This page wis last eeditit on 6 Apryle 2019, at 21:13.